Ever wondered what the underlying emotion might be, unprocessed and unacknowledged? A person with depression often feel guilt across situations- guilt for not being able to take one’s own responsibilities, meet others’ expectations, feel motivated, perform daily activities like before. Depression, no matter what the cause, can make people feel utterly inadequate and insufficient. To sympathize with someone’s feelings and situation is entirely different from empathizing with the other person’s feelings. What a person with depression requires is constant empathy from their support system. One of the fundamentals of a good communication is sound listening capacity, which most people lack. I’ve often wondered what it is that makes communication between two people really difficult. When one of them has depression, there’s a higher possibility that this fear may be more. Why? The person who is in the grip of depression may find it impossible to explain where they are coming from. They may not be able to rationalize the what, where, how and why of their condition. Given how much of the world functions based on reasoning, this can be a dead end. They are mostly petrified with the feelings of being an unwanted burden on their family members and their close people. The fear is rooted in how the other person might perceive them and their condition, of whether their attempts to explain their condition will be futile or not. 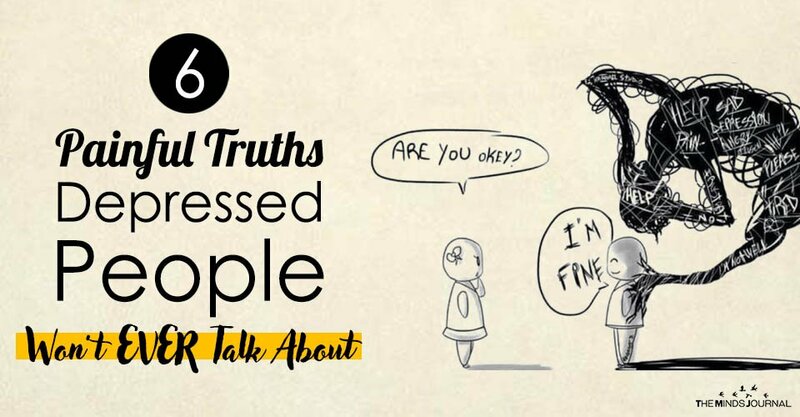 The conversation with the people they try to explain too may go into loops, pushing the depressed person into further feelings of helplessness about having to explain their state, without much success. As I write this, I realise that this has been my truth more than once. Depression can feel like a dungeon, out of which an emergence seems like a distant dream. And when you can’t explain why you are feeling a certain way and that nevertheless the feeling is there, it can be even more frustrating. Anyone who is depressed might actually not be seeking a magic solution, or to be rescued. What they instead want and need is a patient judgment-free hearing. To be heard for where they are and to not be labelled, questioned or damned. They want you to listen more than suggest callous and oversimplified solutions. Yes, that’s exactly what many depressed people want to articulate. Positivity is certainly an ideal state to be in, but consider this for yourself, whether you’ve ever experienced depression or not: is it possible to be positive every day? As an answer you might say yes, which will then take us to “choices”. And this is where you’ll need to remember again depression isn’t a choice.